Belvedere Family is the home of The Family Federation for World Peace and Unification (FFWPU) for Westchester and Rockland counties in New York. We have worship services and fellowship every Sunday morning at 10:00 at the Belvedere Estate in Tarrytown, NY. Our services are open for all to attend. Please visit our Events Calendar to learn of other scheduled activities. Also visit our Contact page for our location and contact information. Transforming lives and creating healthy families. As a family of faith, our mission is to embody and share God’s ideal of love through education, blessing, and service. Don’t forget to check our news page for information on activities and other sharing from our community! The Family Federation for World Peace and Unification (FFWPU) is an international organization comprised of families striving to embody the ideal of true love and to establish a world of peace and unity among all peoples, races, and religions as envisioned by Rev. Sun Myung Moon. The Family Federation for World Peace has often been referred to as the Unification Church. Unificationists follow Reverend Moon’s teaching, known as the Divine Principle, which encourages inter-religious, inter-cultural, and inter-racial harmony and unity centered on the family. Dr. Drissa Kone is an ordained minister currently serving as the local spiritual leader of the Belvedere Family Federation for World Peace in Westchester. Dr. Kone was born and raised Muslim in the Ivory Coast and joined the Unification Movement in 2003. Dr. Kone earned a master of divinity (Spiritual counseling) at the Unification Theological Seminary (UTS) in 2012, and a master in conflict management and negotiation at Norwich University in 2014. He obtained a doctorate of ministry in peace and justice at UTS, focusing on transformational leadership and the effective management of cross-cultural conflict between communities. 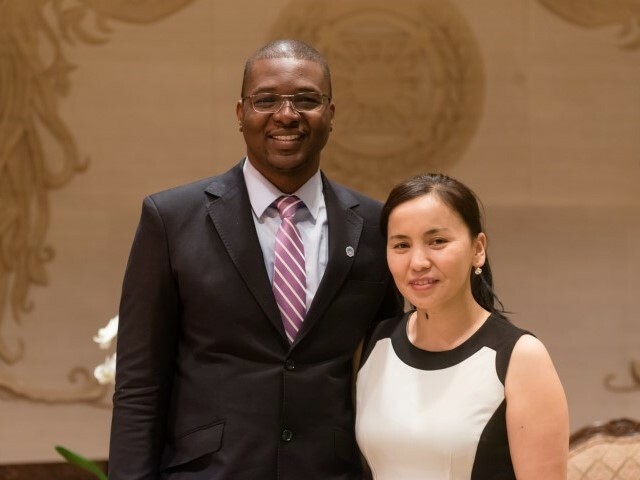 Dr. kone and his wife, Mrs. Tsedvesuren Kone, were blessed in marriage in February 2010. Denthew is from Fort Montgomery, NY, and has been part of the Belvedere community his entire life. 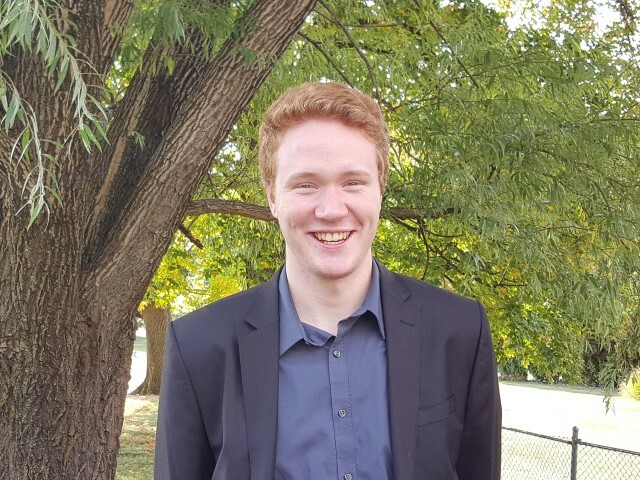 He recently spent two years doing church work in Europe and is now dedicating himself to help our community and our youth develop their life of faith. The Family Federation for World Peace is a ministry whose roots go back to Easter morning 1936. While praying, a young Sun Myung Moon had a personal encounter with Jesus, who called on him to complete the work left undone at the time of the Jesus’ crucifixion. In the years that followed, which were filled with intense prayer and study of the Bible, the meaning of Jesus’ words was revealed to Rev. Moon through what would later become known as the Divine Principle. Rev. Moon established the organization the Holy Spirit Association for the Unification of World Christianity (HSA-UWC) on May 1, 1954. Although HSA-UWC was often known as the Unification Church, Rev. Moon’s intention was not to create another church or denomination, but rather to bring unity to Christianity and to all religions. The organization was renamed the Family Federation for World Peace on July 30, 1996, and continues to work to build bridges and unity among all faiths and all denominations of Christianity. Rev. 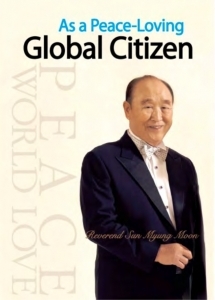 Moon describes his encounter with Jesus, and subsequent search for a new expression of truth in his autobiography, “As a Peace-Loving Global Citizen”. “The Word of God I was hearing in church, however, was not sufficient by itself to give me the clear answers I was seeking. To relieve the frustrations in my heart, I naturally began to immerse myself in prayer. “Who am I? Where did I come from? What is the purpose of life? What happens to people when they die? Is there a world of the eternal soul? Does God really exist? Is God really all-powerful? If He is, why does He just stand by and watch the sorrows of the world? When you visit with us, you may find that we have many new and different terms and traditions that you may not find at other churches or even other religions. Rev. Moon did not start our movement to be another religion or another denomination. He wanted to bring unity to all churches and all religions. We have strong roots in the Bible, so you will find many of the same traditions that you would see at other Christian churches such as Bible stories in Sunday School and many Christian hymns during our worship services. In addition, since we also have strong Asian roots in our faith, you may often see Calligraphy and other Asian texts in our buildings. We also have an photos of our founders at the front of our hall, which is another very common Asian tradition. Besides the Christian hymns and popular songs that we often sing in our services, we also have our own selection of songs, referred to as Holy Songs, that resonate well with our perspective of God. Some of these songs were written by our founder Rev. Moon himself, as well as by some of his early disciples. Our prayers may also sound somewhat unique. We often refer to God as our “Heavenly Father”, but we also consider God to be our “Heavenly Parent” with both masculine and feminine characteristics. We often end our prayers with the Korean word, “Aju” instead of or in addition to the traditional “Amen” that one usually would hear. Aju means “becoming the owner” or “I am the owner”, basically stating that we will take personal responsibility to make happen whatever was prayed about. The term Aju has a very special meaning because of our understanding of our relationship to God. We understand that God is waiting eagerly for us to fulfill our promises and commitments. He is not able to do so without our desire, effort, and commitment. In our community you may also hear the term True Parents, True Father, or True Mother. God is ultimately our True Parent, but there is also a spiritual or theological meaning behind these terms. Our founders, Rev. Sun Myung Moon and his wife Dr. Hak Ja Han Moon seek to fulfill the role of spiritual parents for our community and for all people. In this way we often refer to them as True Father and True Mother. It is a term of affection and respect, similar to the way that Catholics refer to the Pope as the Holy Father. The Divine Principle is a teaching that bridges faith, culture, race, and nationality, bringing individuals, families, and generations together to build a world of Peace. Find out more about the Divine Principle by emailing us or visit dplife.info. Looking at the Hudson River you know that deep water runs silently. But upstream there have already been many events: the water has swirled in deep eddies, it has pounded down on the rocks, as in waterfalls and it has rushed past big rocks and over small pebbles to be gathered into the ocean. In your life, too, there are such variations. You may very possibly be like the waterfall or the water running past the rapids. In any event, you must not become discouraged by the roughness of your course. Only by having gone over the rocks and waterfalls can you lead yourself to the heart of the ocean.